24" Possibly can be sent by Aust Post. even during your Dog Show. 30" and 36" have no Loops at the top and are straight at the top. 24" pictured below, is the only model with the Loops at the top. ALL COME WITH 6 STRONG THICK STEEL HOLD DOWN PEGS. Made up 1.2m x 1.2m of playing area! or LARGE GUINEA PIGS IN A CONFINED AREAS YOU APPROVE OF, MAKE PET KEEPING A JOY. This is the most versatile Play Pen Ever. Add or remove as you wish. 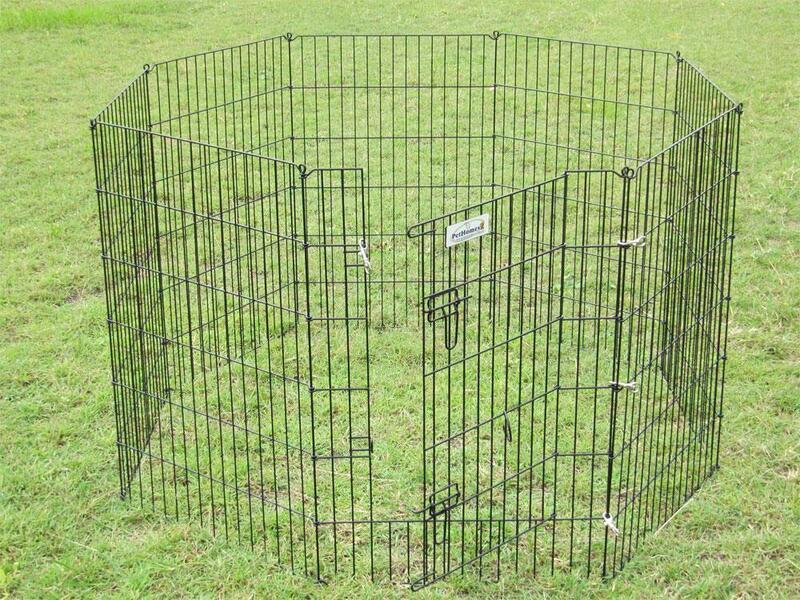 Requires pliers & Spanner..
CAN TRAVEL WITH PLAY PEN OR CRATE PURCHASE FOR NO EXTRA POSTAGE COSTS.